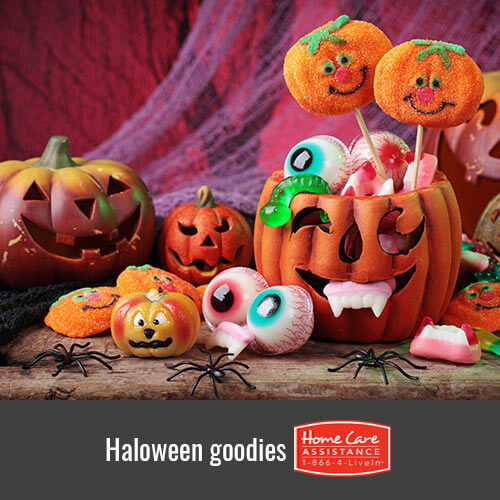 Halloween is right around the corner, which means kids will be coming to your loved one’s door for a treat. Sure, he or she could hand out store-bought candies this year. But part of the fun of Halloween is making homemade treats to hand out. The following treats are easy and fun to make with friends and family and come highly recommended by home care agencies in The Grand Strand. A bag of Mandarin oranges and a black marker are all seniors and their in-home caregivers in The Grand Strand need to make Mandarin Pumpkins for the trick-or-treaters. Simply draw a classic jack-o-lantern face onto the orange and let it dry. It is a simple and healthy treat kids will love. Mini Mummy Piñatas are great fun for seniors to make with their families. Wrap a toilet paper tube with white crepe paper and then tape the top shut. Add a pair of googly eyes to give the mummies some personality. Fill the tube with small candies and toys before tying the bottom shut with a string. Attach a tag that says, “Pull Me” and hand out to the kids. Lollipop Ghosts make a wonderful treat for trick-or-treaters. Simply wrap the lollipop in white tissues and tie it underneath the candy with orange or black ribbon. Add two eyes with a marker and, voila, you have a lollipop ghost. Use round lollipops (preferably Tootsie Pops) to make creepy crawly Halloween spiders. Twist black pipe cleaners around the bottom of the candy to form legs. Add googly eyes to the lollipop (the sucker will be the body). This creepy spider is always a hit with the children. Seniors can create some candy balloons with just a few materials. They will need 9″ orange balloons, green party fringe, glue, candy and a marker. Insert three to five pieces of candy in each balloon, inflate the balloon and then tie it shut. Glue on party fringe around the knot and make a funny jack-o-lantern face. With enough candy balloons, seniors can make a festive pumpkin patch and let the kids pick out their own “pumpkin”. Seniors thrive on participating in holidays and special events, but in order for them to truly flourish, they need constant mental and emotional stimulation. Home Care Assistance provides reliable Alzheimer’s, dementia and stroke care The Grand Strand seniors need to make the most of their golden years despite illness or disability. 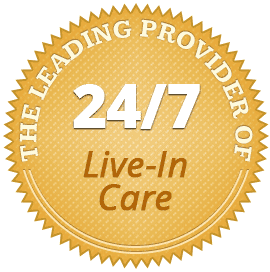 Contact us at (843) 353-3105 to talk to a friendly Care Manager about customizing a unique care plan for your loved one today.